I took her Intensive Course in the end of 2017. I knew only very basic dutch like how to say "I am Hiroya and I am from Japan". But after taking her course, I can understand some of what people speak and I can reply to that, very slow of course. The course was quite intense if you want to catch up the speed of the class. I studied about 4 hours a day, sometimes more, after the lesson. Leni taught us something we cannot really get from the book very effectively. We had pronunciation and hearing practice everyday with different sounds. She provided additional or easy understanding method for grammars on the text book. And she was always open to any of our questions. I sent her several grammatical questions by email, and she always replied very quick and explained farther in the next lesson. I am really satisfied that I took her course and I am willing to take next level lesson as soon as I can. I joined the intensive course (every morning except Thursday for 6 weeks) with Leni and it was a really great experience. 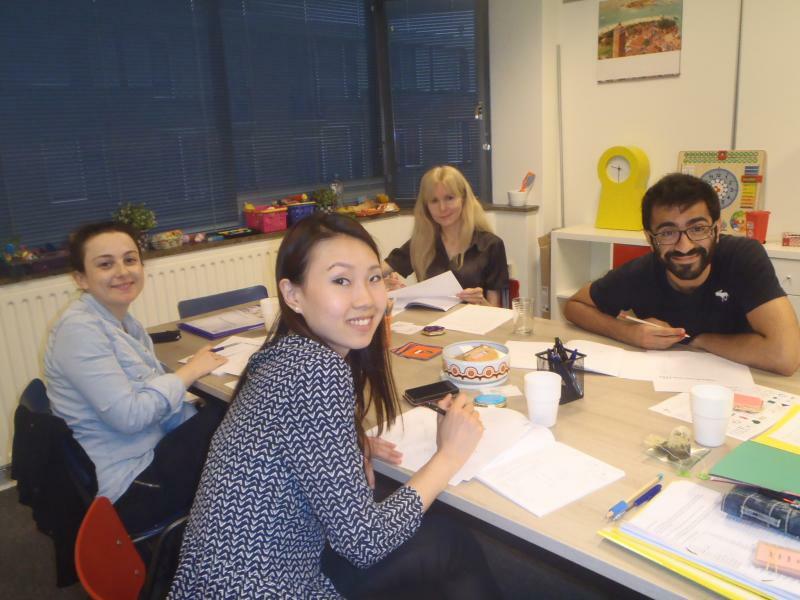 Leni is fabulous teacher, she is really patience and push you to properly learn Dutch in all the aspects, from speaking to writing. The course is well arrange and, together with the book, it enables you to learn this difficult language and have a great base to allow self improvement also after the course. In my opinion, the money spent for this course are really well invested. 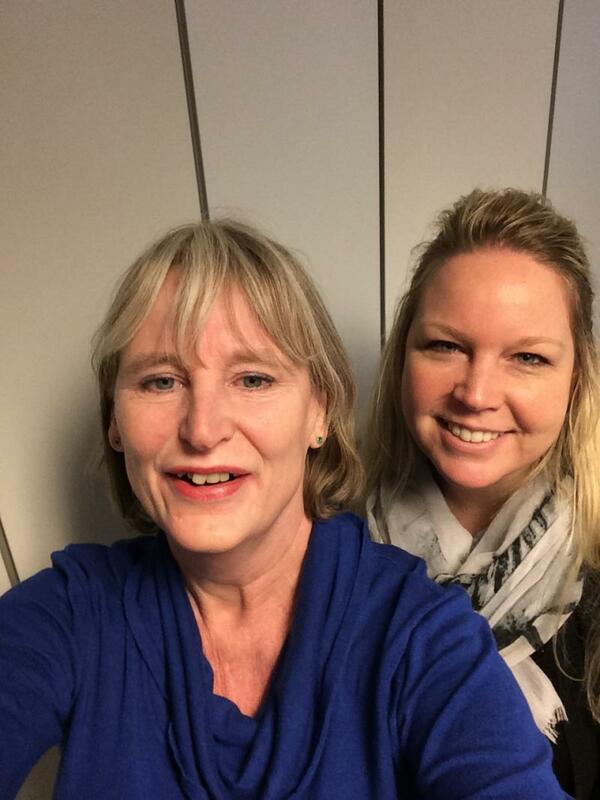 I have recently studied beginners level A1 and A2 with Leni at Dutch NL and really enjoyed the lessons. I had spent some time searching for a suitable class and the trial lesson with Leni made the selection easy. The classes are small (maximum 5-6 people) which allows you more time to practice speaking and ask questions. The time spent on pronunciation and interactive learning methods - along with a good bit of laughter during the lessons - really helped me absorbing the language. I am hoping to join the Beginners A3 course during the summer! I have recommended Leni and Dutch NL to friends who are considering starting to learn Dutch. Hartlijke bedankt Leni! What have you learned during this course or lessons? To give introduction in Dutch, Greetings, Order food in Restaurant, most of the basic conversations. Learn in practical way like games, sound, skits etc. What helped you to learn something? Skits and Games helped me to speak spontaneously. The symbols and pictures, songs, roleplay, games are more than enough to learn. What do you think of the lessons, interactive enough? Yes they are very interactive. Leni and her assistant are very interactive. Supporting materials: were they relevant and well presented? Wat do you think about the length and tempo of the training? It is up to the mark. Were the pronunciation exercises useful to you? Restaurant role play was very good. Do you have tops? Please give examples. Leni had her assistant are very well educated in Dutch and know how to teach. Do you have tips? Please feel free to give them. The timings 1930 to 2130 for me was sometimes too late due to very cold weather in Rotterdam. Maybe if possible in future it can be preponed. I studied beginners course 1 and it definitely helped to improve my Dutch. Now I can make simple sentences and I have a better feel of Dutch language. Classes were interesting so the time went fast. Looking forward to attending beginners course 2. Leni was a wonderful teacher. She is very patient and tailors her class to suit everybody's level of ability. She has a way of explaining the language in a very clear and percise way for ease of learning. The lessons are also tailored to suit individual learning patterns, whether you learn by vision, sound or writing, Leni's classes emcompass them all. I would recommend Leni's DutchNL class for those interested in learning Dutch speaking. Some good basic knowledge of Dutch. What was very useful? What helped you to learn something? The making of a story helps to understand sentence construction. Some symbols I found difficult to grasp to start with. What do you think of the lessons, are they interactive enough? Lessons were good, class size was neither too big or small. What do you think about the length and tempo of the training? Yes. My recognizing sounds has improved. How to greet people on first contact, beginning of conversations. Using Dropbox is great, so your full attention is in the classroom and not having to write notes after notes. The learning is not all serious. Leni makes the lessons fun to attend. All of the interactiveness in the classroom is helpful. Walking and picking items in the classroom when asked. The lessons are fantastic, very personal, lots of attention if required from Leni. There are lots of material around the room of everything you have learned so you can look around when help is needed. 2 hours per night is perfect, maybe 2 lessons per week instead of 1. Very useful, it gives you the difference between the spelling and sound. The grammar, the acting “scenarios” and the stories. I would love to see more “one on one” talking exercises. The tempo of the class and the exercises were a bit too slow for me. The lessons were interactive, but I would like to talk more. Two hours class is perfect, the tempo was to slow. Not the most useful, I learn faster by focusing on the speaking, reading and spelling rather than hearing and pronounce. I like your energy and engagement as a teacher. Lessons from DutchNL with Leni deliver me from my laziness to learn the language. Every day I can find some excuse not to learn. Most often I am tired. lessons are cool, changing the pace. I like the playful way of teaching. If I don't know how to pronounce some word, then I try to imagine how would Leni pronounce it. It mostly works. Grammar is grammar, it can not be bypassed. I would make some grammar rules simply, as in my mother tongue (second most difficult in the world after Hungarian), but no one has to requests do that. If have ambient pressure on your neck (the colleagues at work) and they push to me know already something from the Dutch, so this is a good choice ***** . Leni this is my evaluation, have a nice evening. I’ve learned a lot about pronunciation, perfectum/imperfectum tense, conversations and vocabolaries. Educational material and exercises? What do you think of it, interactive enough? We used the book during the course, exercises,. All in all the material used was well done. Those materials were well presented and nice to learn with them. Was much more easy/funny than a typical lesson only with exercises on the book. The length was scheduled ok, and the tempo also. Yes the pronunciation exercises were very useful to me. We practise a lot with the “stomme e” it was very important for me. Do you have tops or tips? Please give examples. Last lesson we used to invent some stories, it was very nice cause using the interactive software to see the words. Like that is was easier to remember and improve vocabolaries. Very nice system, improve your knowledge of new words very fast. Works pretty well with people with busy schedule! The atmosfere in the class was always good. I enjoyed the lessons! During this course I enjoyed working in a small group. The lessons were interactive, what helped to learn and remember (!) many things and especially words. Learning from pictures made language easier to understand and learn. P.S. I would have preferred lessons to be a bit more fast, and would have liked more practise with speaking. Thank you! it was a great experience. I attended the Beginners 1 and 2 courses at Dutch.NL. 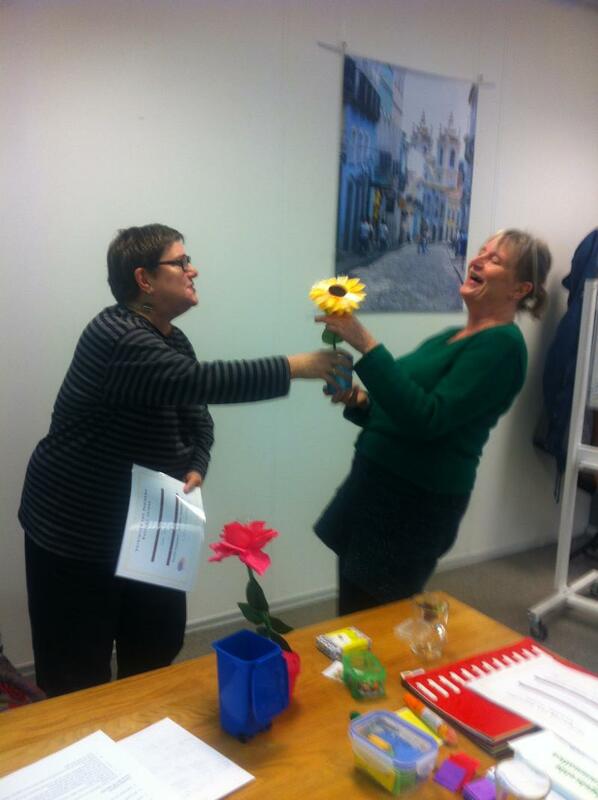 The teaching method used by Leni, a great teacher with many years of experience, was fun and very rewarding. She used games and visuals to help in memorising the new words, a method that helped a lot especially when starting from zero with the language. (present tense + past tense), games and the mini stories that helped a lot in starting to formulate phrases and answer questions. The lessons are more oriented in speech and interaction so anyone in the class could actively participate. I would highly recommend Dutch.NL as a starting point to the Dutch language, especially to who wants to learn it in an enjoyable way, and does not have a lot of time for doing home work. 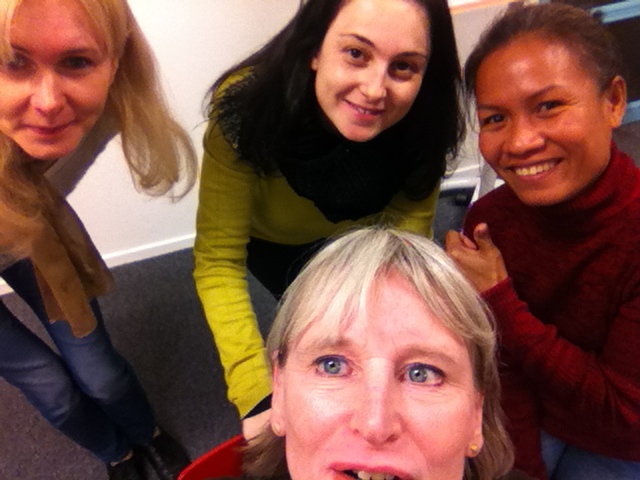 I am glad to be here to learn Dutch with an instructor who teach friendly, easy to understand and very good resolution. My favorite are all the important lessons. I get a paper every lesson to keep in review time. Thank you very much. 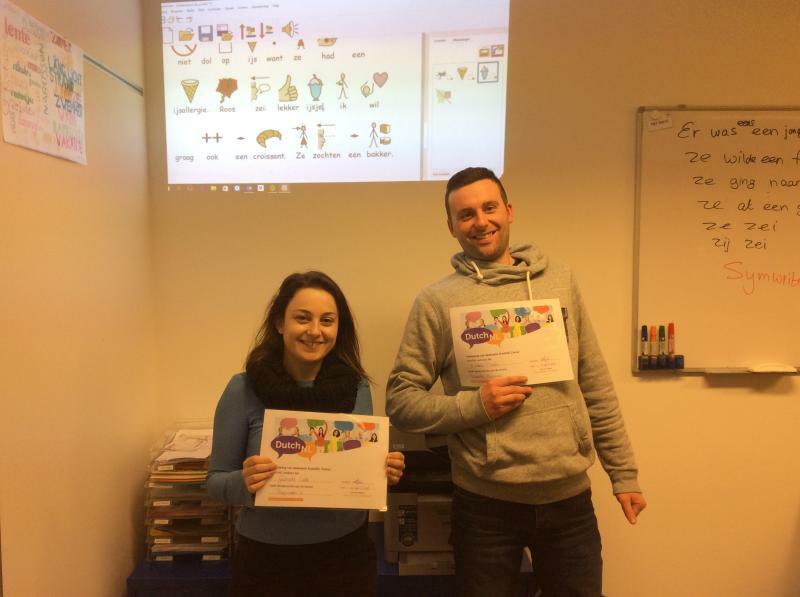 Completing the Beginners 2 course has been an incredible journey at DutchNL. All the credit would go to Leni for making the course so interactive and enjoyable. Unless other instituitions who concentrate more on exercises and homeworks, Leni believes in practicing dutch by interactions and game plays. One can easily learn dutch here with minimal effort and the lessons would never leave the brain. It has helped me a lot to interact with my dutch friends easily. Breaking the language barrier in the Netherlands, I have observed a phenomenal positive difference towards my integration in this country.Thank you Leni and thank you DutchNL. 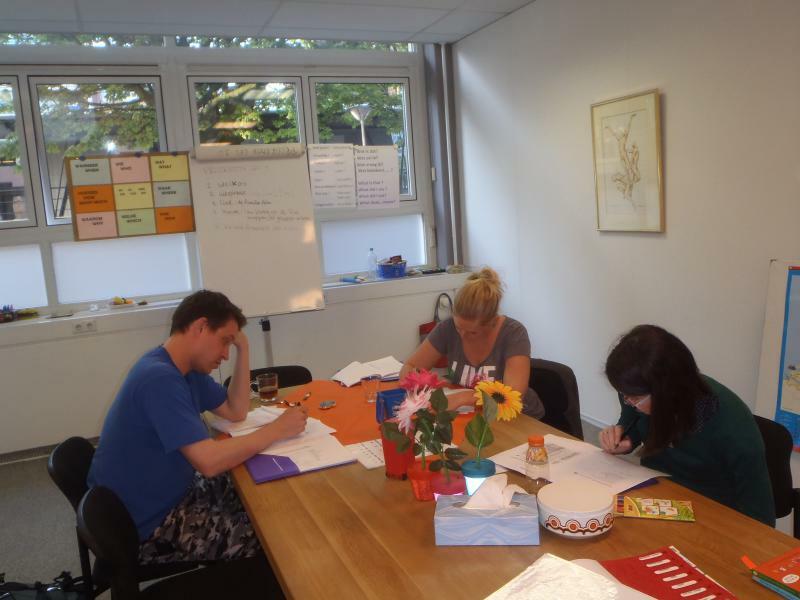 It was a great place to start learning Dutch especially for beginner. The pace follows to the current situation among classmates. The teacher adjusted the methods to match with the group. You can remember vocabularies and sentences and use it right after you finished the class because you practiced it in class with real situation in simulation. For example, the class was arranged as a restaurant; waitress, customers, and cashier. Then you played as a role by speaking in Dutch. Tips: I also want to learn what words and sentences they use in work place. In this course we learned the core of the language. A lot of pronunciation and accent exercises in order to be able to speak properly and to be understood. Socializing conversations like asking the route, clock-watching and visiting a doctor were important steps in learning the language. In addition we learned the past tense and we started listening exercises. The way of learning and practicing was enjoyable. Games with the words and discussion over stories kept our attention and participation throughout the lesson. I am looking forward to the next course! DutchNL makes learning very interesting and long lasting because of it's entertaining and interactive ways! If anyone wants to make a start at speaking Dutch without cramming books and doing home works, then this is the place to go. The games, stories and the role plays make you learn things and get them stored in your long term memory! The course totally met my expectations. "Leni is a great person. I love her creativity and the way she transforms a complex language like dutch into a well articulated and fun content using meticulously designed methods, improvised roleplays and props. 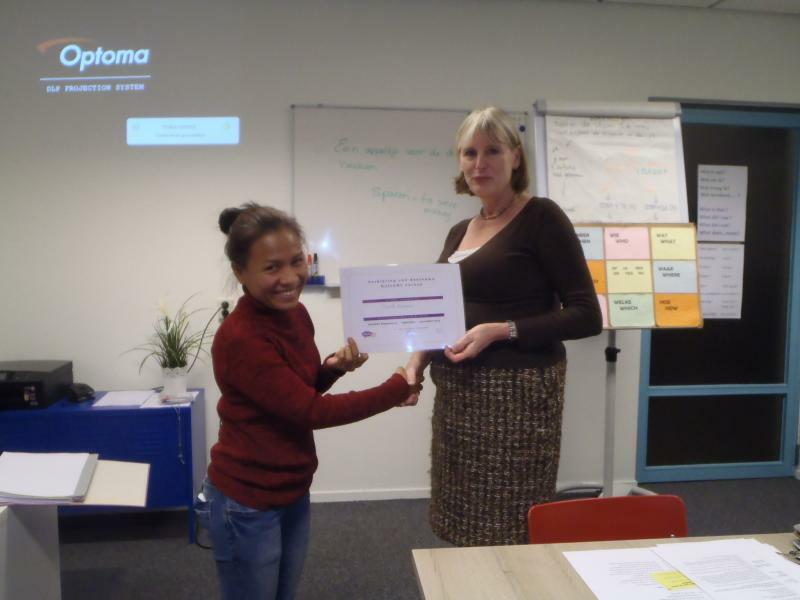 What I liked most about being her student was her enthusiasm and happiness in imparting the knowledge of dutch language with us all. This makes her a great person to be around and makes learning atmosphere very interactive and playful in many ways. I would highly recommend everyone to go through this learning experience." 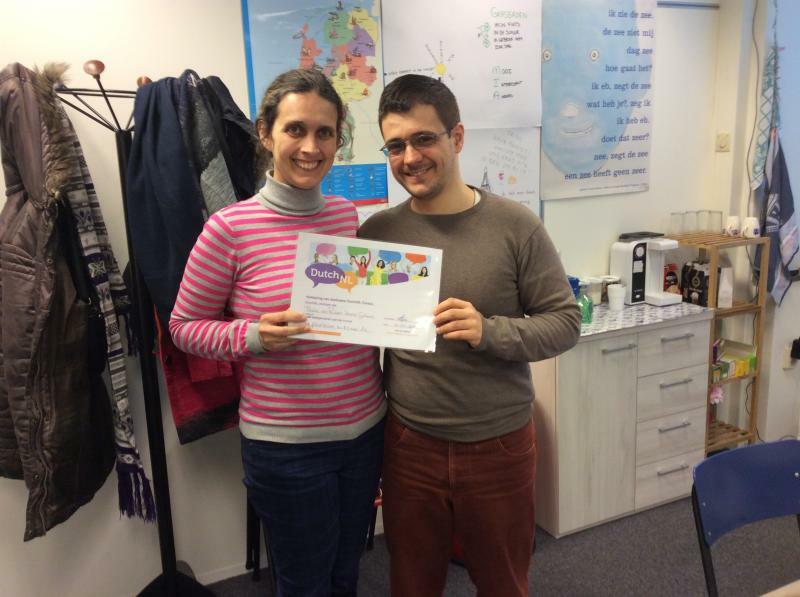 Again it has been a pleasure following your course Leni! With a lot of new games and ways of learning. It needs to be fun to learn a language as an adult, and by learning it the 'kids' way, makes it fun. If there should be time/participants for a 3rd course, I'm in :-). 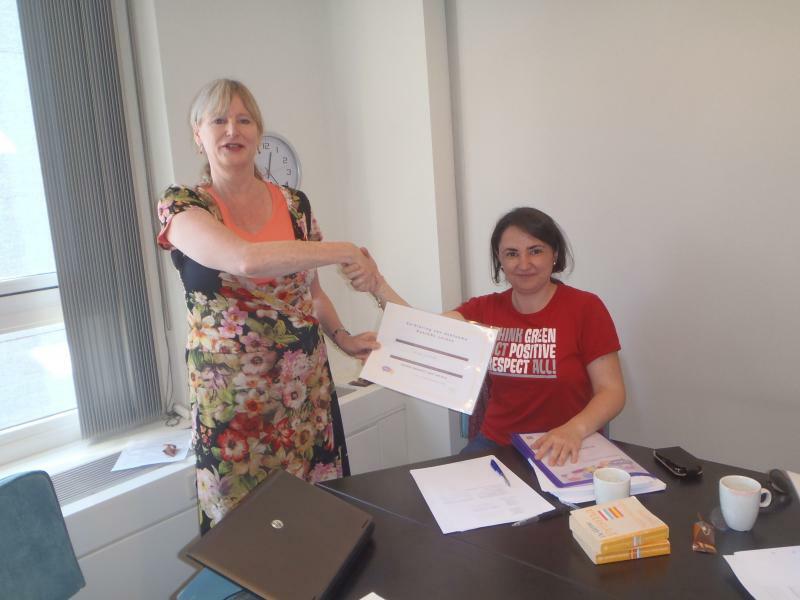 We are glad to choose the Dutch course from Dutchnl. We have found that the course is well structured, easy to follow, clear and concise. We enjoyed every minute during the course especially the week with the role play that we have to participate. Leni was very helpful and has helped us with explaining in details on where and when to use the certain words and sentences. The course has benefited both of us and now we are more confident to engage with basic conversation in our daily life. I would highly recommend Dutchnl to whoever wants to learn basic Dutch. 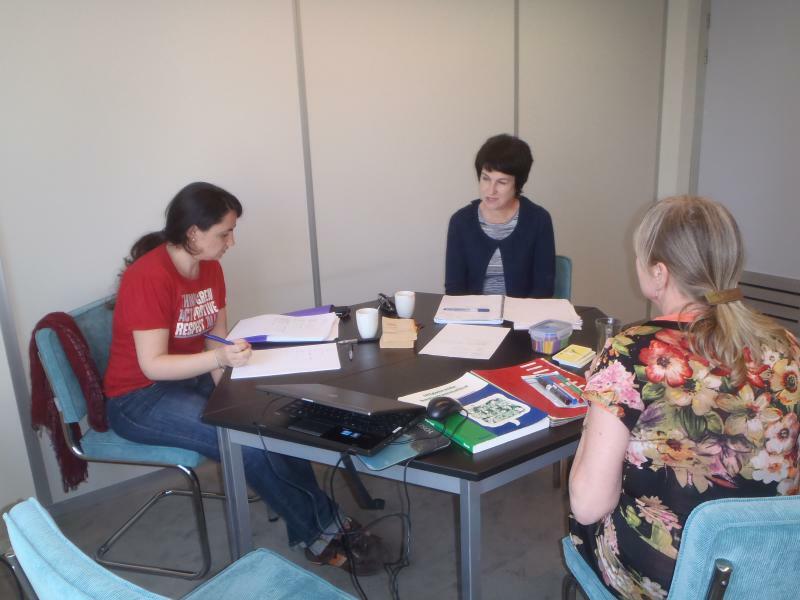 The main thrust of the course is to get students to open their mouths and speak Dutch. In this the teacher does an admirable job: enough grammar is explained in simple terms to help get over some of the usual hurdles - the explication of verb forms was especially clear and vocabulary was systematically expanded (spreekwoorden amusing and necessary!). The hardest part of learning a language is speaking and being understood. It does take practise, and maybe the course could introduce a bit more spoken drill - too often students are left off the hook with one word answers. However, het verhaal and the games are very good for spontaneity. 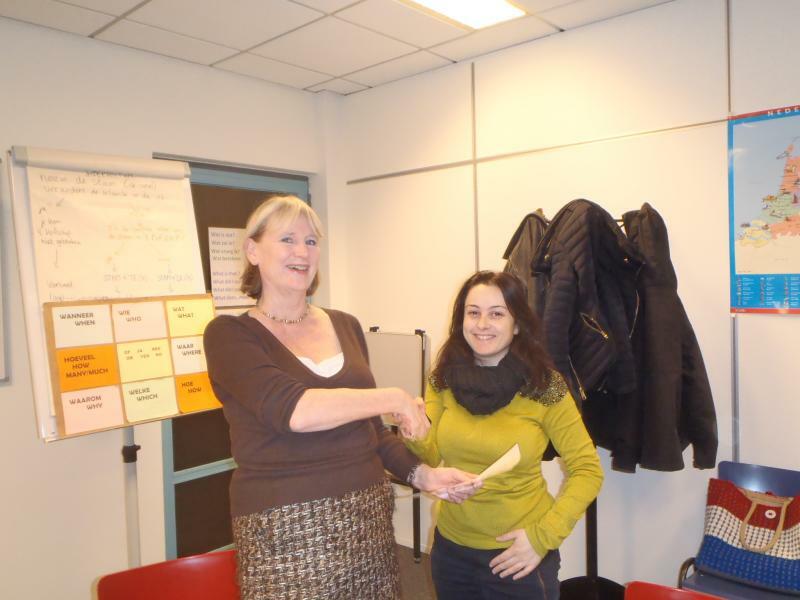 I very much enjoyed the course and it did help me a lot with trying to speak - still need a lot of practise, and confidence comes slowly (misschien helpt soms een biertje of twee). Learning with DutchNL is a well-paced, comfortable, practical, informative course. Leni and Evelyn are very patient, thorough teachers, providing practical exercises and notes with each lesson. I appreciate being part of a small, interactive class, and being able to ask questions each step along the way. The notes from class and our follow-up homework is relevant and valuable as a take-away. I will keep all of my notes! It is comforting to have classmates on the same level, and to have teachers who allow you to ask a question when you need to. I would recommend DutchNL to anyone wanting to learn. Now I just have to put the good work of DutchNL to practice! - All lessons have been something new, with a new method of learning. understand a lot more by knowing the simple words. - With this course I believe you take responsibility for your own learning. 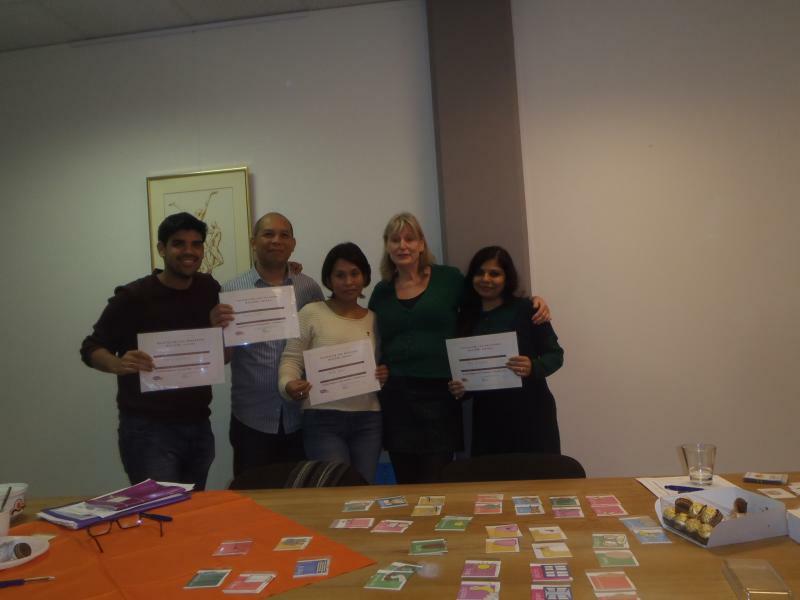 I feel the DutchNL Beginners 1 course has been a good introduction into the Dutch language. Each lesson provides a nice mix of vocabulary and pronunciation. The lessons also include stories, songs, games and other exercises to help us learn in a more memorable way and practise what we have learnt in past lessons. Overall it is an enjoyable course with a friendly and relaxed attitude. It is a very practical, comfortable, and understandable course. It is thorough at each step of the way and doesn’t skip detail or get lost in theory. It covers language learning that is helpful for real-life situations. A great way to learn. 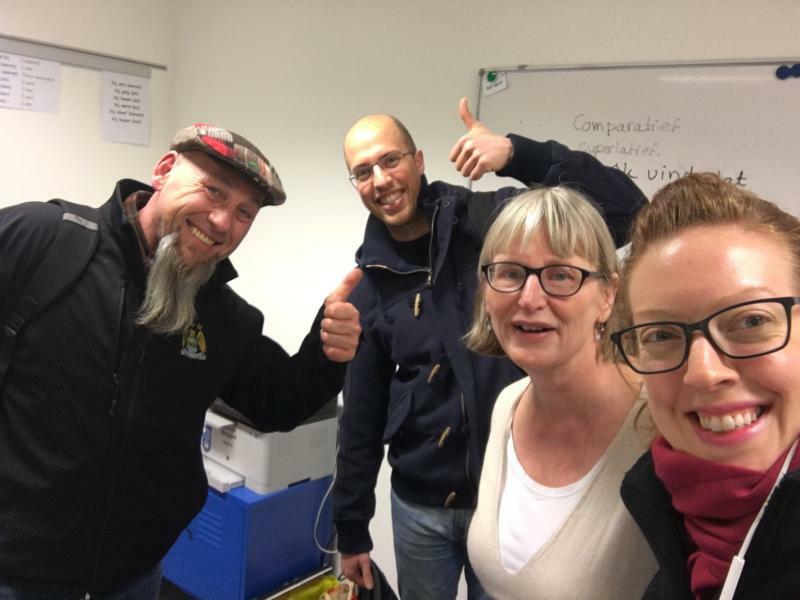 Leni did a great job of accommodating all levels of ability in the same class, and as an introductory Dutch language course it was fun, educational and interesting. Would you recommend the course to others? If yes, why? I would recommend this to others as it was more than simply rote learning, its was educational and fun. As someone who is learning their first foreign language the style or method works. What, if anything, would you change about the course? Regards change recommendations. I am more visual so I would like more word exercises with English translations. This way I can see how the words fit together, and then I can focus on the pronunciation. By reading it while trying to speak it I find easier than simply memory and speaking from rote. Trying to learn everything at once was something I found quite difficult, and my lack of practice with people did not help, but overall Leni did a great job of making sure everyone participated. The lessons were very interactive and effective. All lessons were very clear en easy to follow. I would, for beginners that want a different and more intimate approach. Even more emphasis on saying words and repeating sentences as well as exercises that force you to try to use the language in spoken form would benefit the experience. When i started with this course i had no knowledge of Dutch, literally. But, thanks to DutchNl, i was able to understand simple sentences in a bit. It is really a good way to learn, since we do not use any text books and things, which can be strange in begining, but after while one's get used to it with no problem. I can call this lessons i have jump start into a Dutch language, where is the most important thing encouragement to try to speak Dutch, and ability to understand people around you, at least a bit. I really like the part with the stories, where i have learned a lot of words in a bit. Thank you for this experience. Hemos aprendido a saludos, a conocer los diferentes verbos en presente y pasado, y lo mas importante como poder pronunciarlos correctamente. La tematica los diferentes materiales que se usan en clase todo es fantastico. Las profesoras son muy agradables, ik ben blij. Oja la que este tipo de tecnica se importiens en los diferentes colegios, para nosotros los de habla ispana.